The Sanctuary was founded after the apparitions of the Sacred Heart of Jesus in front of Don Elia Bellebono (1912-1996), in which the priest was urged to build a shrine to in Urbino for the Love of Christ: “It will be the seat of My Love and My mercy and I will rain many thanks “(Villados 1973). The Centre has among its aims to assist spiritually the numerous university students of Urbino: “I wish that in addition to the Sanctuary there is also a retreat house, because there are many universities that need it. They are like sheep without a shepherd. 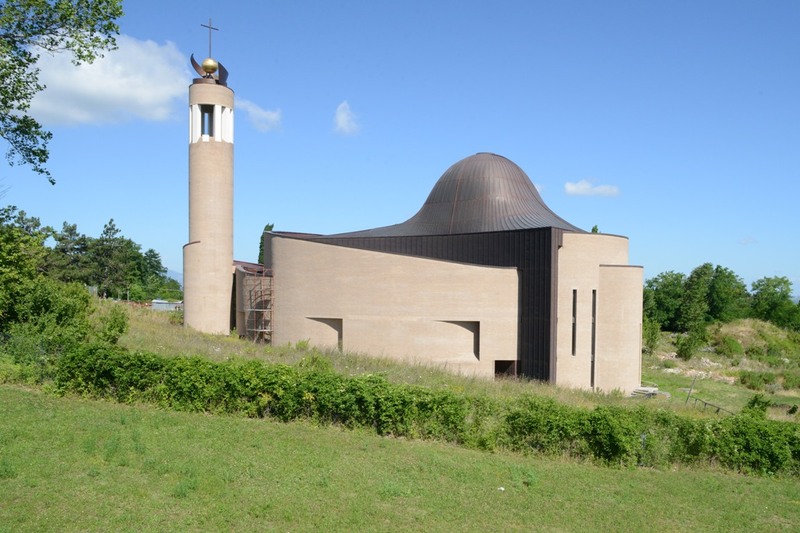 “References to the humanities and the Renaissance, the respect for the landscape were the parameters that have characterized the design of the Sanctuary, being completed, due to the architect Watanabe, with the creative participation of Maestro Walter Valentini and Vincenzo Tiboni.